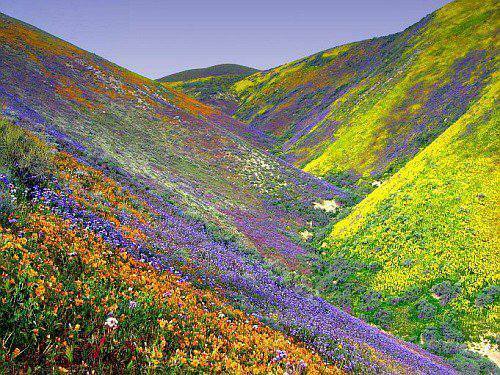 Spring is in the air and the wildflowers are blooming in Southern California. 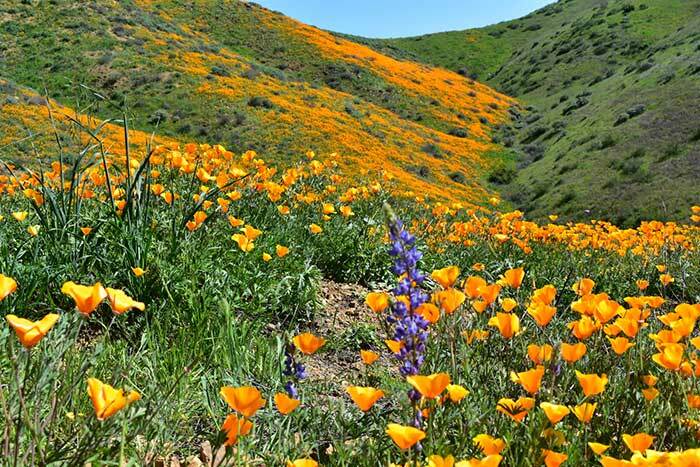 The eastern part of the region is experiencing a “super bloom” unlike anything seen in the area since 2005. 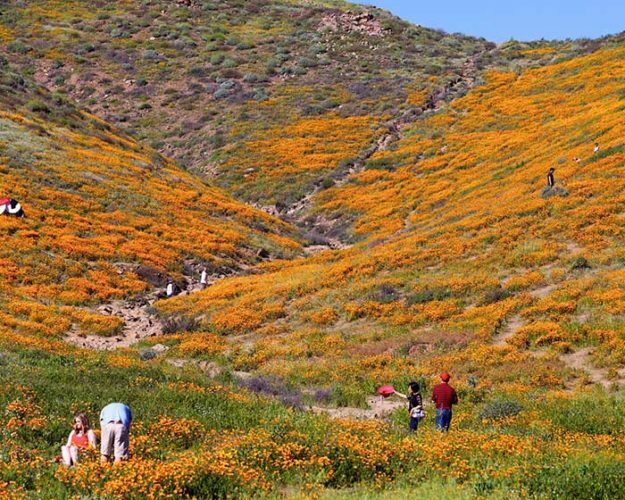 Anza-Borrego Desert State Park has been transformed for a spectacular annual show: the “Desert Bloom.” Flowers for as far as the eye can see! 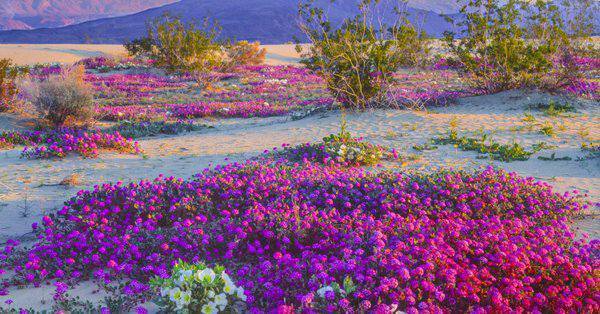 Now, look at these awesome pictures of the 2017 Desert Bloom at Anza-Borrego Desert State Park in California! 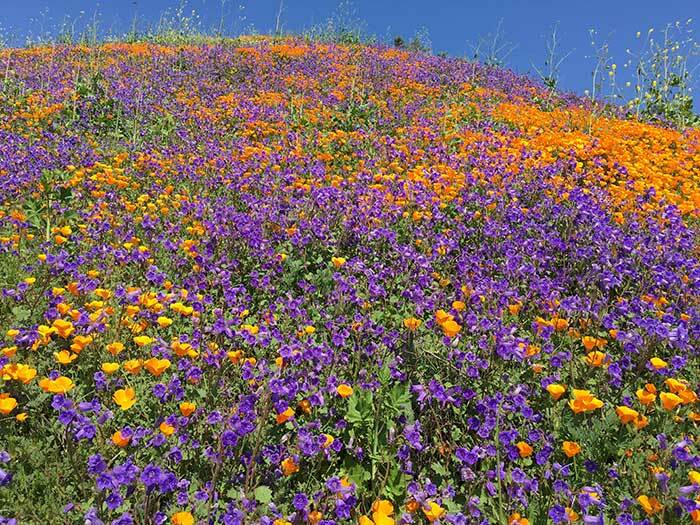 The super bloom is in full swing in some areas of the park and expanding. 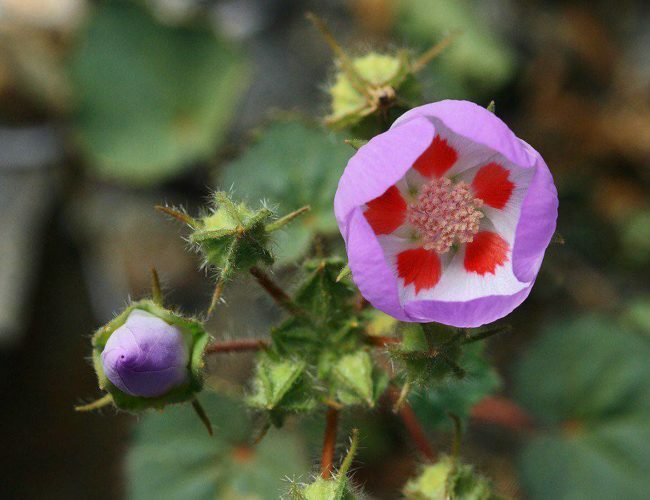 Rangers explain that the flowers this year will show up in a “rolling bloom” that happens in waves across the park. 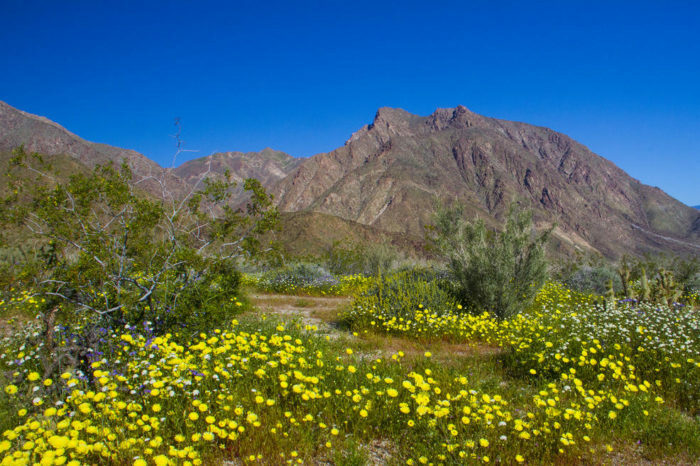 Different areas, different species, different elevations, as things come into bloom; cacti, shrubs, ocotillo are not in bloom yet. 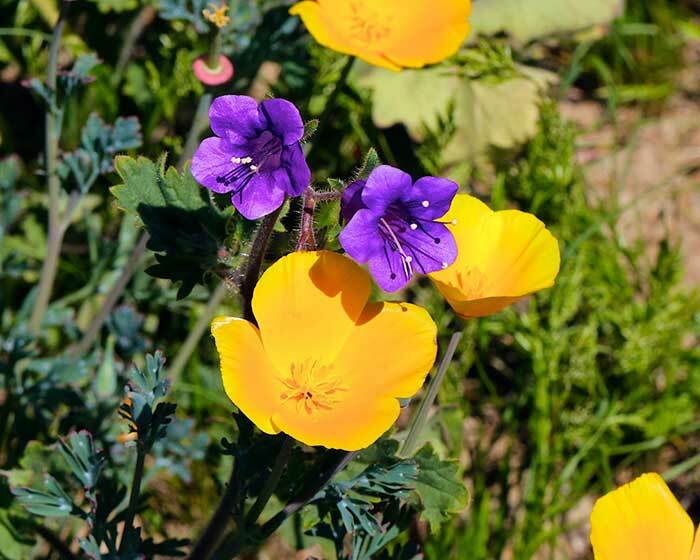 Guests can expect to see a great show of dune evening primrose, verbena, Arizona lupine, and desert dandelion. 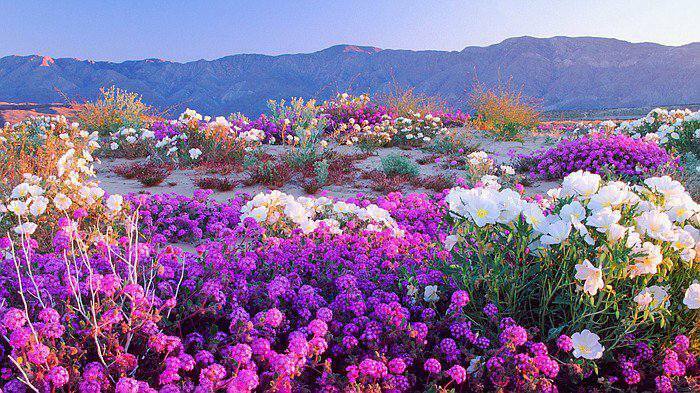 Enjoy this desert super bloom! 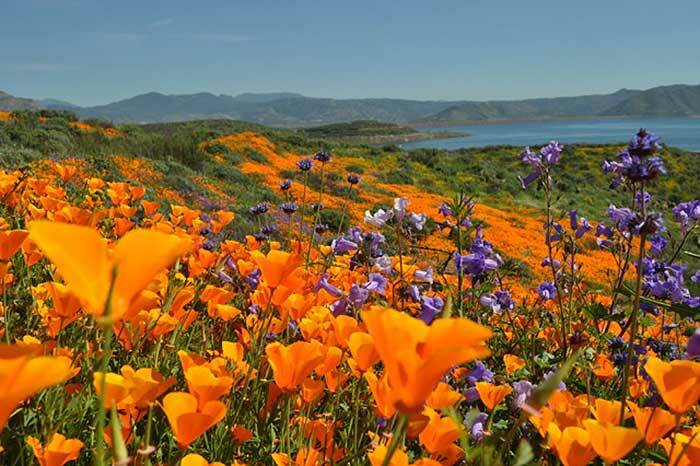 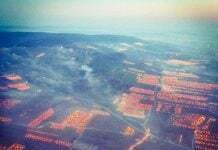 I’m 74, first lived in the LA area, 1963-’64, then the Bay Area & Mendocino Redwoods 1964-1969, and know that such scenes were basis for the colourful labels on many CA growers shipping crates [they were wooden way back then], now sought as decorative antiques!